Four IABC Fellows met on a Google Hangout on Air on Thursday, 20 September 2018, to discuss the blending and reshaping of internal and external communication—as well as marketing and corporate communications—in this hour-long conversation that included questions from communicators watching the panel in real time. Dr. Amanda Hamilton-Attwell is accredited by both IABC and PRSA. She is managing director of Business DNA, based in South Africa, which provides strategic research and consulting, including communication audits, customer service and other focused research and training in communication skills. Her career has also included a 15-year stint as a research manager for the National Productivity Institute. 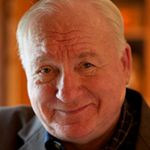 James E. Lukaszewski, America’s Crisis Guru®, is a bestselling author, national speaker, and trusted strategic adviser to FPO and NPO business operators and leaders during crises, disasters, reputation attacks, contentiousness and when the boss’s future is at stake. Corporate Legal Times listed him as “one of 22 crisis counselors to have in your speed dial when all hell breaks loose.” For more than 30 years, he has confidentially guided hundreds of company leaders thru tough, touchy, sensitive situations. Lukaszewski’s strategies inspire constructive, ethical problem resolving management behavior. A powerful and inspirational speaker, he teaches executives and managers the lessons he has learned. A prolific author, he is quoted and interviewed often as one of the most recognizable leaders in his profession. Lukaszewski is on the web at www.e911.com. 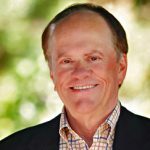 Jim Shaffer is a business adviser, leadership coach, author, and speaker. As leader of the Jim Shaffer Group, he helps organizations accelerate results through superior strategy execution. The Jim Shaffer Group creates hard business results by translating the business strategy to the people who need to implement it, aligning systems, processes, and culture to make the gains sustainable. Jim was an architect and leading practitioner of Towers Perrin’s (now Towers Willis Watson) change management consulting practice. He designed and produced the IABC Academy course “Managing Change Communication to Drive Results and Value.” Some of his change management clients have included Abbott, ConAgra Foods, FedEx, IBM, ITT, Mayo Clinic, Medtronic, Owens Corning, Pfizer, Toyota.